Room 201, 16 Waiteata Road. Emily is an internationally published fiction writer whose work has been widely anthologised. She has convened the Fiction stream of the MA in Creative Writing since 2013; her students write novels, such as Annaleese Jochems' award-winning Baby (2017), and short stories, such as Lynne Robertson’s 'Chicken Boy', recently shortlisted for the prestigious Commonwealth Short Story Award, as well as occasional hybrid works like Redmer Yska's imaginative and investigative history of Katherine Mansfield's Wellington, A Strange Beautiful Excitement (2017). Emily holds a Master of Creative Writing from The University of Auckland and is a graduate of Toi Whakaari, the New Zealand Drama School. Her first book, Not Her Real Name and Other Stories (Victoria University Press and Picador, 1996), won the Geoffrey Faber Memorial Prize (UK) and the Montana Award for Best First Book of Fiction (NZ). Her four novels include Novel About My Wife, which won the Montana Book Award (NZ) and the Believer Book of the Year (US). Her most recent novel is The Forrests (Bloomsbury, 2012), selected as a Book of the Year in the Daily Telegraph, Observer, and New Statesman among other venues, longlisted for the Women's Prize for Fiction 2013 and shortlisted for Best Book of Fiction in the 2013 New Zealand Post Book Awards. Her fictional interests include pushing the possibilities of form, genre and textural affect within realist prose. She has collaborated on a mini-comic with Dylan Horrocks and has written for the stage and screen: Emily's first play–an adaptation of Henrik Ibsen's A Doll's House, commissioned by Auckland Theatre Company –opened at Auckland's Maidment Theatre in 2015 and was subsequently staged at Wellington's Circa Theatre in 2017. She is the co-writer, along with director Alison Maclean, of The Rehearsal (2016), a feature film based on the novel by Eleanor Catton. Alongside Chris Price, she edited and contributed to The Fuse Box: Essays on Writing from Victoria's International Institute of Modern Letters (VUP, 2017). In 2017 Emily and Chris also collaborated on a New Zealand literature feature in the Austrian journal, Lichtungen (Literatur aus Neuseeland). Emily has held the Buddle Findlay Sargeson Residency and in 2011 was named an Arts Laureate by the Arts Foundation. 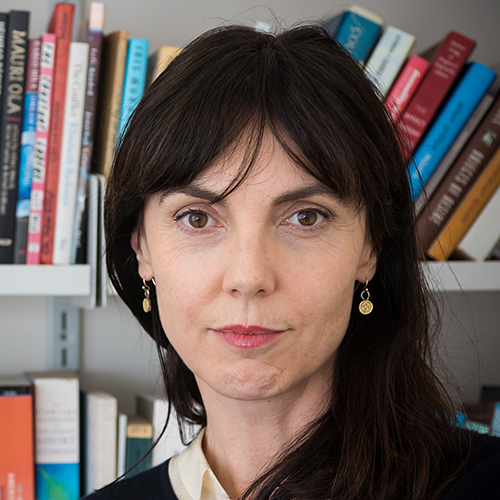 She is frequently invited to present her work and discuss New Zealand fiction at literary events in NZ and abroad, and was a member of New Zealand's 2012 Guest of Honour programme at the Frankfurt Book Fair. She is a member of The Folio Prize Academy. In 2017 she was appointed a Member of the New Zealand Order of Merit for her services to literature. She is the International Institute of Modern Letters' Māori and Pasifika Liaison staff member. Emily is currently working on long-form fiction and drama projects.